SNAP 2018 - Symbiosis International (Deemed University) has released the SNAP 2018 result on January 10, 2019, in online mode. Prior to this, the institute had declared the SNAP 2018 answer key on December 19, 2018. Notably, the answer key of SNAP has been released for the first time ever. The conducting body has also offered an opportunity for candidates to challenge the answer key along with a requisite fee. The exam was conducted the SNAP 2018 exam on December 16, 2018, from 2 PM to 4 PM in 92 cities across India. The result of SNAP 2018 is expected to be declared in the second week of January 2019. The SNAP 2018 admit card was released on December 1. Registered candidates could download the hall ticket of SNAP 2018 by logging in with their exam credentials. The University also provided the opportunity to registered candidates of SNAP 2018 to take the SNAP Mock Test from December 11 to 14. Candidates could book their time slot by logging in with their credentials. The application process commenced on August 28 and continued until Wednesday, November 28, 2018. Symbiosis National Aptitude Test or SNAP is a national-level management entrance test, conducted by Symbiosis International (Deemed University) for admission to its 15 institutes. The computer-based objective type test carried 150 multiple-choice questions (MCQs) divided into four sections to be solved in 2-hour duration. All the 15 institutes will release their SNAP cutoffs to shortlist the candidates for General Exercise (GE), Personal Interaction (PI) & Writing Ability Test (WAT) after the declaration of result. Latest: SNAP 2018 Result is available now. The total number of seats for a PG management programme through SNAP 2018 would be around 1867. The admit card of SNAP 2018 was made available for download from December 1, 2018. Careers360 brings to you the detailed information about SNAP 2018 such as eligibility criteria, application process, exam pattern, the difficulty level of the exam and much more. SNAP 2018 Answer key has been released for the first time by the officials. For the first time ever, SNAP Mock Test was released for candidates to experience the test environment before the actual test on December 16, 2018. To register for the mock test, candidates had to log in with their credentials on the official slot SNAP 2018 and book their slot. The exam pattern of SNAP 2018 was revised. The exam was introduced with ‘Special Questions’ - which are Non- MCQ questions just like TITA questions in CAT. Candidates had to type in the answer on the virtual keyboard. Each of the four sections will consist of five special questions. Additionally, the marking scheme has also been revised. The important dates related to SNAP 2018 were released along with the notification. Based on the official important dates, below is the schedule of SNAP 2018 exam. Symbiosis International (Deemed University) has released the answer key of SNAP 2018. This is the first time that the officials have released the SNAP 2018 answer key. Test takers can now check their responses and estimate their score. In order to check the answer key, they must go to the official website of SNAP and login with their SNAP credentials. Additionally, the conducting body has also given the opportunity to test takers to raise objections in case they are not satisfied with the answer key. Objections can be raised until December 21, 2018. The objection fee is Rs.590 (inclusive of taxes) per question which is challenged. If the doubt raised is proved to be correct on the candidate's part, then Rs.500 will be refunded to them. The payment for the same has to be made via the Billdesk gateway in online mode only. After SNAP 2018 was conducted on December 16, 2018. According to the analysis of SNAP 2018 by experts, the overall difficulty level was easier than that of last year. General English was the easiest section. The Quantitative, Data Interpretation & Data Sufficiency was comparatively easier than last year. The other sections were of moderate difficulty level. The new exam pattern was followed in this year's SNAP and the overall difficulty level turned out to be easy to moderate. The result of SNAP 2018 has been announced on January 10, 2019, in the form of the scorecard. Candidates would be able to check the result on the official website of the exam. The result includes sectional as well as overall scores. The participating institutes of SIU will announce a shortlist of candidates after the declaration of SNAP 2018 result. The selected candidates will have to attend GE-PI and WAT. On the basis of the performance in SNAP 2018, candidates will be shortlisted for GE-PI and WAT. As per the SNAP 2018 selection process, the shortlisted candidates will have to appear for GE-PI and WAT. 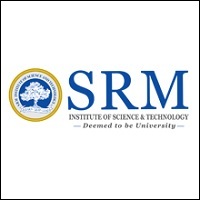 The final merit list will be prepared by Symbiosis International University (SIU). The participating institutes will announce the list of shortlisted candidates by the third week of January 2019. The final merit list is expected to be announced in the fourth week of February 2019. Candidates belonging to a category other than Open are required to submit valid supporting document(s) at the time of GE-PI and WAT (if shortlisted). For General Category candidates, Bachelor’s degree from a recognised institute/university with at least 50 percent aggregate marks. For SC/ ST Category candidates, Bachelor’s degree with a minimum of 45 percent aggregate marks in graduation. 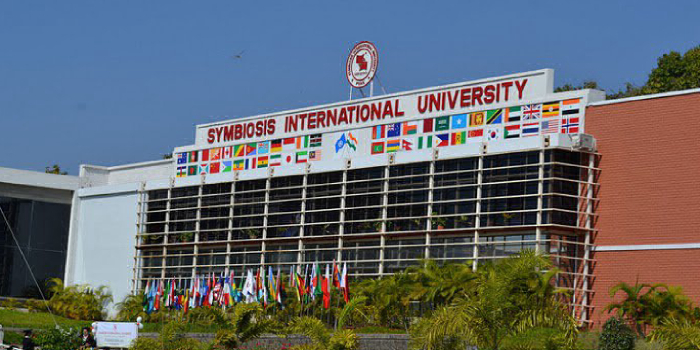 Candidates with foreign degrees/qualifications should be verified from AIU before applying for admission to any programme of Symbiosis University. Final year graduation students are also eligible to apply. However, they must complete their degree with requisite aggregate percentage or equivalent CGPA at the time of admission. The application process for SNAP 2018 commenced from August 28, 2018, and ended on November 28, 2018. Earlier, the application deadline was November 26. The University extended it to November 28. Visit the official website and click on the register button. Fill in the required details on the application form and upload the asked documents including latest coloured passport size photo. Application Fee for SNAP 2018 - The non-refundable application fee for SNAP 2018 exam is Rs. 1750. The fee could be paid through Credit Card, Net Banking, Cash and Demand Draft. 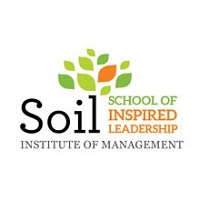 The Programme Fee of the Institute(s) INR 1000 (non-refundable) per programme per institute. There are 15 affiliated institutes of SIU accepting SNAP 2018 scores. The below-mentioned table brings to you the list of participating institutes of SNAP 2018, which offer various MBA programmes under SIU. Note: The above-mentioned seats are based on previous year’s information. The intake may change for the admission to 2019-21 batches. The SNAP 2018 admit card was released on December 1. Candidates were able to download the admit card of SNAP 2018 by entering their login details from the official website of the exam. The admit card carries candidates’ roll number & signature, attested photograph by the Gazetted officer, venue and time of the exam. Symbiosis International (Deemed University) had released the mock test for SNAP 2018. In order to take the mock, registered candidates had to log in with their SNAP ID on the official SNAP website and register for the mock test. They were asked to pick the time slot and date convenient to them. The SNAP mock test booking window was open from December 11 to 14, 2018. This is the first time ever that the SNAP Mock test has been created for candidates. The exam pattern of SNAP 2018 was revised as the exam conducting authorities have introduced Non-MCQ questions in the form of 'Special Questions'. The answers to the questions had to be typed in by the candidates using the virtual keyboard on the screen. Each of the four sections had five special questions besides a certain number of normal questions. Also, SNAP 2018 continued to be conducted in online mode. The duration of the exam was two-hour (120 minutes) and the test had 130 multiple choice questions carrying 150 total marks. Marking Scheme: Each question carried one mark which means each correct response would fetch one mark. There is also a negative marking of 0.25 mark for each incorrect answer. General Awareness: General Knowledge, Current Affairs, Business Scenario, Politics, Social Issues, Entertainment, etc. Analytical and Logical Reasoning: Data Interpretation, Bar Graphs, Pie Chart, Line Charts, etc. General English: Reading Comprehension, Verbal Reasoning, Verbal Ability, Sentence Correction, Idioms, Antonyms, Synonyms, Analogies, etc. Quantitative, Data Interpretation and Data Sufficiency: Venn Diagram, Number System, HCF & LCM, Simple Interest and Compund Interest, Trigonometry, etc. SNAP 2018 will be conducted in around 92 cities all over India. The candidates were given choice to select three cities to appear for SNAP exam. The exam centres were allotted as per the candidates' preferences mentioned in the application form. However, in some exceptional circumstances, a different exam centre in nearby location may have been allotted. The SNAP exam authority had the right to change the exam centre other than the one requested by the candidate in the event of the requested exam centre not being available for any reason.